This week, the House Democrats unveiled their 2019-2021 operating budget plan. This Putting People First budget makes critical investments in areas that need the most help in our state: High-quality pre-kindergarten, K-12 education, special education, behavioral health, affordable housing, the environment, and college and workforce development. It is important we make these investments now, when the economy is strong. Many have said the state budget is large enough to cover our basic needs. I strongly disagree. Washington’s upside down tax code means people with the least amount of money carry the heaviest burden through sales and property taxes. Wealth concentrates in the hands of fewer and fewer individuals and it is not generating revenue for the state. That is not how we build a good quality of life for everyone. The revenue package I proposed to fund the Putting People First budget includes the Extraordinary Profits Tax and the Progressive Real Estate Excise Tax. I hope you read more about them below, because they are how we start balancing our tax code and making real investments in the programs and services Washington needs: By asking the wealthiest among us to chip in, just like the rest of us. Washington has a problem: With insufficient investments from the wealthy, average taxpayers carry the bulk of the tax burden in our state. There are hundreds of tax exemptions and carve-outs that benefit the wealthiest people and corporations. Every time the Legislature needs to invest in K-12 education, or special education, or high-quality pre-kindergarten, the burden falls heavily on the middle class. To invest in Washington’s priorities, I am proposing a new excise tax on extraordinary profits of high-valued assets. The Extraordinary Profits Tax is a 9.9% excise tax on the sale of high-valued assets, like stocks and bonds, which generate profits of $200,000 or more for married filers ($100,000 for single-filers). Of Washington’s 3.65 million taxpayers, only about 0.4% will pay this tax. That’s about 13,400 households. This new excise tax exempts retirement accounts, the sale of single-family residences, duplexes, and triplexes, and the sale of certain qualifying small businesses. Currently, all Washington property sellers pay the same flat rate through the real estate excise tax (REET). Whether someone is selling a modest family home or a massive commercial property, the rate is 1.28%. By creating a marginal and progressive structure that reduces or maintains the REET for about 98% of property sellers, and increases the rate for extremely valuable properties, we can raise revenue to invest in thriving communities and still cut taxes for the vast majority of home sellers in the state. Under our proposal, about 80% of sales will have reduced taxes and about 18% will see no change at all. Finally, there are 740,000 jobs up for grabs in the state—and many require some sort of post-secondary credential to be qualified. Unfortunately, our students and state two- and four-year institutions are struggling. Current funding just isn’t enough. We cannot hire for the jobs of the future if no one is qualified to fill them. Luckily, there is a solution. 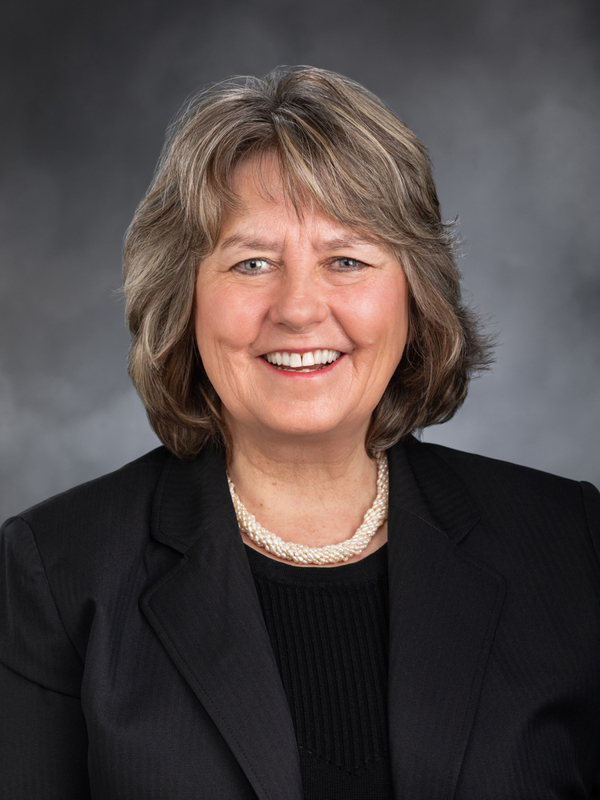 You may have seen an opinion column written by Microsoft President Brad Smith, University of Washington President Ana Marie Cauce, and Washington State Board of Community and Technical College Vice Chairman Wayne Martin. In that opinion column, they endorsed the Workforce Education Investment. Increases capacity at two- and four-year institutions for high-demand programs, such as computer science, engineering, nursing, and other high-demand fields. To pay for it, we proposed exactly what the opinion column suggested: an increased assessment from 1.5% to 1.8% on businesses, like software firms, accounting firms, and other professional services and then another increase on global technology companies with $25 to $100 billion or more in international sales. We ask for dedicated funding from those businesses because they rely heavily on workers with a post-secondary education. You can read more about it in this opinion column from Danny Westneat at the Seattle Times. 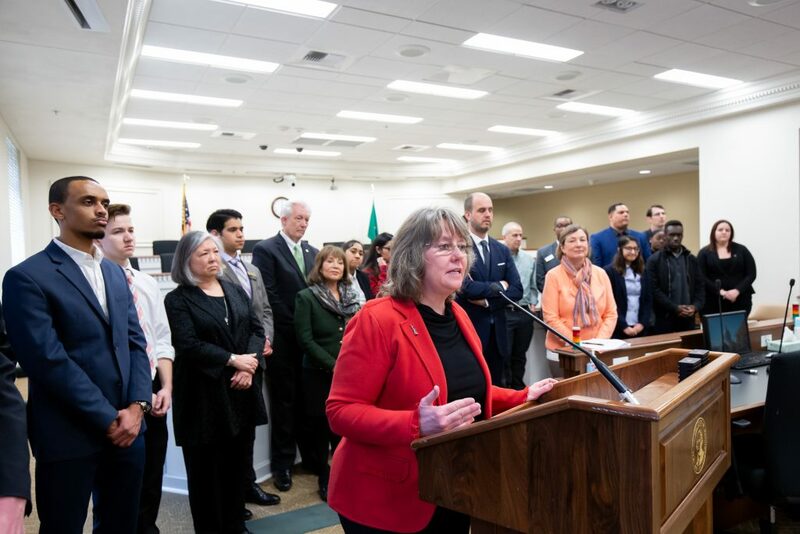 I hope this is explanation of our budget and revenue package helps you understand our motivations and goals in bringing some balance to our tax code and funding investments that greatly benefit the state of Washington. Please let me know if you have thoughts, ideas, or concerns, either by email, phone, a visit to the capitol, or via my Facebook page.